24 Must-Have Basics to Stitch, Use, and Wear. 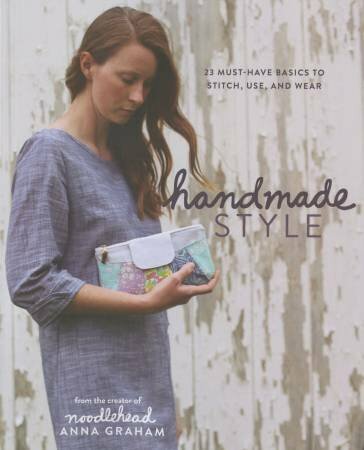 Handmade Style is a thoughtful collection of a variety of sewing projects to stretch your skills and keep you enjoying the process of creating throughout the year. Each project builds upon the other and is designed to help any sewist create a complete cohesive handmade simple and sophisticated look.Unlike other sewing titles that include a random combination of projects, Anna has spent years compiling a well-edited collection of projects to ensure that her fans will want to make each and every one.From wearables and accessories to quilts and pillows: these projects are made to live together to create the ultimate handmade style for every modern sewist.